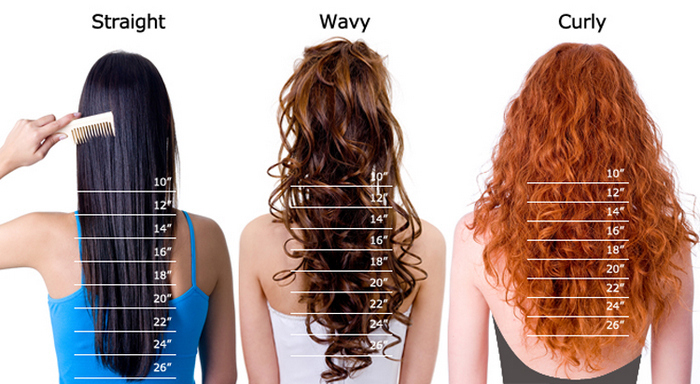 Hair extensions are so flexible that it can add the length to your natural hair right away and get a luxury hair.there are lots of reasons why you choose the hair extensions,but do you know how to choose the correct length?In case of the wrong size that client choose,we offer hair extensions length advices. 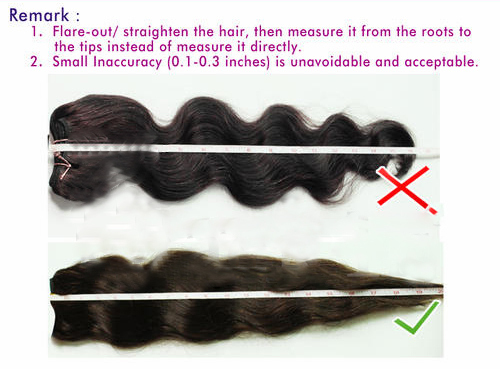 On the whole,the straight hair is longer than curly hair for the reason that it lies completely flat when we measured,but the latter tend to look heavier than the former.keep this in mind before you order the product that what kind of texture you get.Straight hair is ture to length while wavy hair is usually 1.5 inch shorter,Curly hair 3inch shorter than straight hair.you'd better choose the about 2inch longer if you want curly hair. in addition,its important for you to choose hair length base on your natural hair.its not advisable that choose the long hair bundles if your hair is short.